Love love loved the natural super kids course…. It was easy to follow and implement with little fuss, it really opened my eyes to the smallest changes i needed to make to build my children’s immunity and keep them away from toxins …. Not a single cold or runny nose in months. I recommend this course for anyone who wants to see their kids thrive . Thank you Jess. I'm loving the menu plans & recipes & I've found inspiration to finally get myself more organised with batch cooking. What a huge difference this has made for me, way less stress & way less time preparing and cooking. Jess is so knowledgable, generous and down to earth! I have felt inspired to go the extra mile and not just give in to pressure from the kids or eider society to provide commercial snacks and "treats" over real food!. Natural Super Kids has given me achievable and delicious recipes and information to feed my family healthy meals. This is a huge change for my family and I need comprehensive and small steps towards change, which I am getting in the Natural Super Kids Klub. Every time I sit down and look at the Klub content.. it inspires me to do more .. love it .. thanks for sharing your knowledge. The Natural Super Kids meals are achievable and delicious. I love it how the ingredients for meals is already in the cupboard, no unrealistic expectations for busy families. I love the nutritious and easy recipes and the live 'Ask the Naturopath' sessions are particularly amazing! Getting expert advice from home is so valuable for us busy mums! 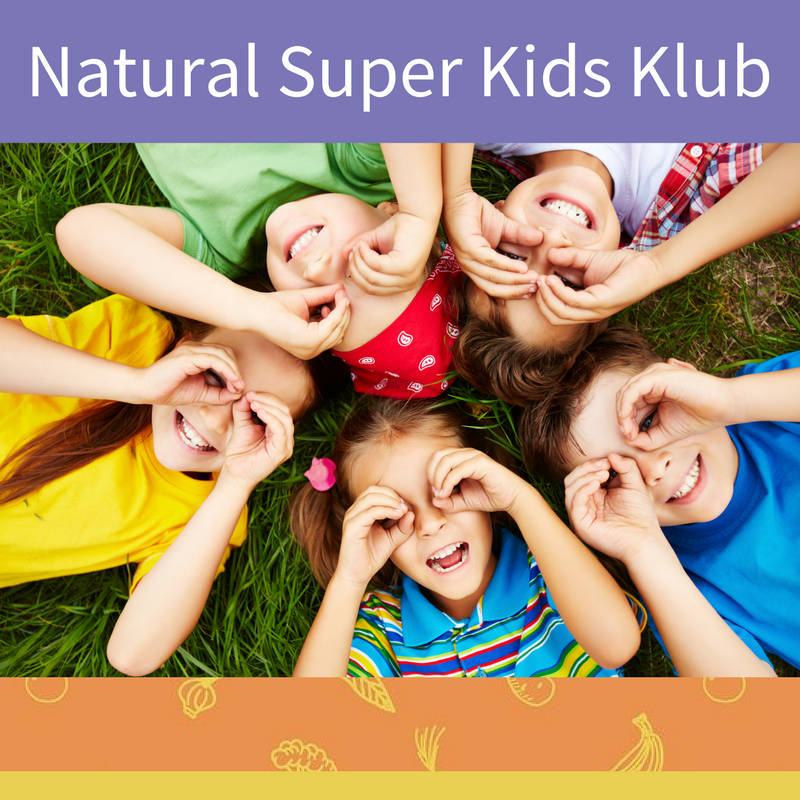 The Natural Super Kids Klub helps me with ideas on how to improve the eating habits and health of my children. I love that the community provides a place to share experiences and be supported with parenting issues without judgment. It's wonderful to have a space in a safe community of like minded mothers to learn, share and discuss health issues pertaining to our families. Jessica is such a great naturopath to have as a coach, teacher, mentor and friend to guide, inspire and encourage us on our journey. Thank You! I'm really enjoying the KLUB, especially the variety of information. This makes it exciting to learn about how I can really look after my kids health and wellbeing. I love using the simple and nutritious recipes which are having such a positive impact on my family. I actually feel relieved and less overwhelmed since joining Jessica's KLUB. It's been great having the others members to learn from too. My son is 12 years old and has cystic fibrosis as a result he finds himself regularly in hospital for IV antibiotic treatment. He also was required to undergo significantly high doses of steroid treatment that left him with violent side effects including problems with his liver, digestion and growth. I was fed up seeing my child suffer like this. In just 10 weeks on Jessica’s program his lung function has improved by more than 10%, it is now the best it’s ever been! His allergy levels continue to fall at very high rates which means that he doesn’t need to continue the toxic steroids and other drugs he was once on. Matt has a spring in his step and is feeling stronger, healthier and more positive every day. Dark circles under his eyes have disappeared and his body mass index has improved. Since becoming a parent what really hit home was the importance of making my lifestyle as healthy as possible, I wanted to give my kids the absolute best start in life. I did everything possible to make good choices, but still both my kids had little niggly problems that no matter what I did, did not resolve.My daughter had a severe iron deficiency, due to my deficiency during my pregnancy with her and we had had no success with conventional treatments. After just 3 months following Jessica’s recommendations she now has normal levels!This amazing lady has changed our lives more than I can explain. She is warm, compassionate and really relates to mums and kid’s needs. She is realistic with today’s busy lifestyles and understands that although we are not perfect all the time, little changes can make HUGE impacts. I would and HAVE recommended her to everyone. Jess goes above and beyond to provide a personal element to her Klub. She takes an extraordinary amount of time to personally reply to questions and it's so generous with the knowledge and expertise. She doesn't paint herself out to be the world's leading expert on everything and the external advice that she has bought into the Klub has been such a valuable "extra". Natural Super Kids Klub is a non judgemental community where I can get reliable information to aid me in getting our family healthier. I love that it provides simple steps, nothing is too difficult and there is something in there no matter where you are at in your health journey. Thank you Jessica. I love being part of the Natural Super Kids KLUB. It provides me with simple and easy to follow information, presented in fun and exciting ways. It's great to be able to chat to other members about our experiences and anything related to our kids health. So far I've been able to share new recipes with my family, some they have enjoyed eating and others they prefer helping prepare (chopping veggies, mixing ingredients) which I now understand is step forward. It's been wonderful seeing them enjoy new foods, something previously very difficult for my daughter to do. A new approach has overcome this. My 4 year old boy started to turn into a child I no longer recognised. He was angry, frustrated, over emotional, naughty, aggressive and driving me to the point where I would sit on my bed and cry with sadness and frustration. I was at my wits end. After following Jessica’s advice and recommendations we were completely blown away. We could notice the difference within 24 hours! He was listening again, thinking before he threw a tantrum, his anger was at bay, he was loving again and most of all he was aware of his behavior. I honestly couldn’t believe it. It was like magic! I can’t thank Jess enough for her help with my family. I have learnt a lot about nutrition and living a healthy lifestyle, she has changed our way of living for the better. My 2 year old daughter suffered from red and dry blotchy skin. We had tried a variety of natural ointments/creams and seen a dermatologist, but her eczema would periodically return with flare ups, despite using no soaps and hyper-allergenic washing powders. With hesitation, we even tried a prescribed steroid cream, which caused an allergic reaction.The results from Jessica’s recommendations have been amazing. Although, my daughter has sensitive skin, her eczema on the legs, arms and face has disappeared. My daughter now tolerates most foods and is a very happy and gorgeous two year old. I am loving the KLUB! I have learnt so much about gut health and how important probiotics are for our children's developing immune system. I love that Jessica is so involved with the group and she answers so many questions from everyone. Her 'Ask a Naturopath' session was fantastic and you can tell she really cares about helping you with your kids health. The meal plans aren't overwhelming and you can pick and choose what you want to introduce into your family meals at your own pace. I can't wait to see what is coming up in the following months! Thank you Jessica, you are awesome!